देना है तो दीजिये, जनम जनम का साथ…. !! 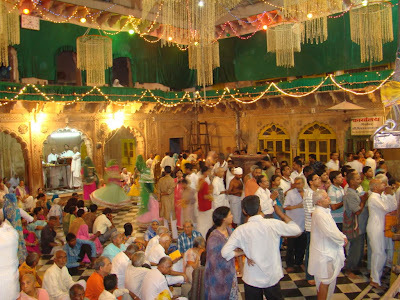 जय जय श्री राधावल्लभ जी !! 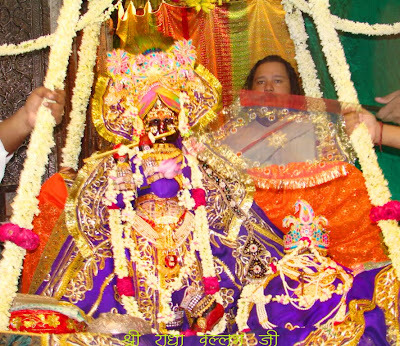 Himanshu Dev Banga, Radhe Shyam and 12 others like this. !! श्री नित्यनिकुंज विहारिने नमो नमः !! 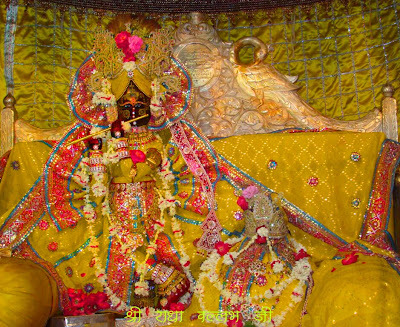 Nkunj ma viraje GHanshyam radhe radhe....jai shree radha vallabh. jor se taana diya , itni door se aaye hu aur pat band kar liye , nishtur ho kya ???? to pat khol ke Gosaiji ne dekha , kau hai ??? Dear Bro, your intense and personal bhakti describe itself and claims primordial origins love for Shri Krishna. 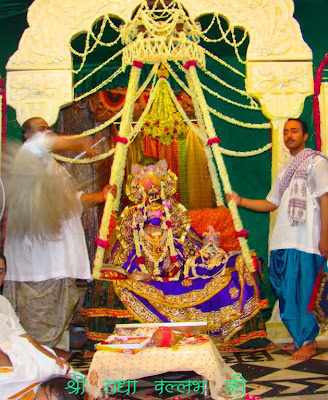 Here, I forget to mention that in Shri Radha Vallabh temple, there is no deity of Shri Radharani with Shri Radha- Vallabh, but there is a crown on the altar instead, which is worshipped as Shri Radharani. !! 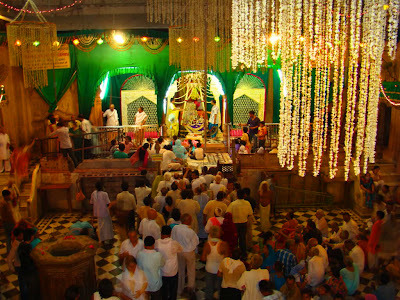 Jai Jai Shri Radha Vallabh Ji !! !! 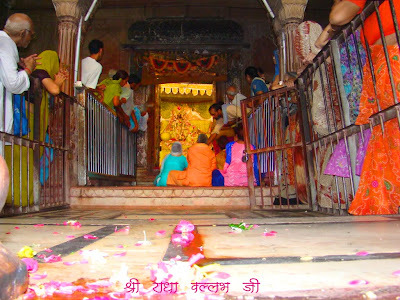 जय जय श्री राधा वल्लभ जी ! !